The tragic events this week in the USA this week where three students were shot dead at the University of North Carolina brought to mind Neil Young’s powerful protest song ‘Ohio’. 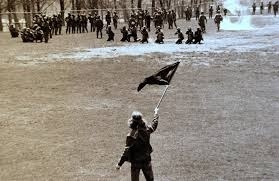 On 4 May 1970 four unarmed college students were killed and 9 were injured at Kent State University when the Ohio National Guard opened fire on an organised protest against the invasion of Cambodia during the Vietnam War. 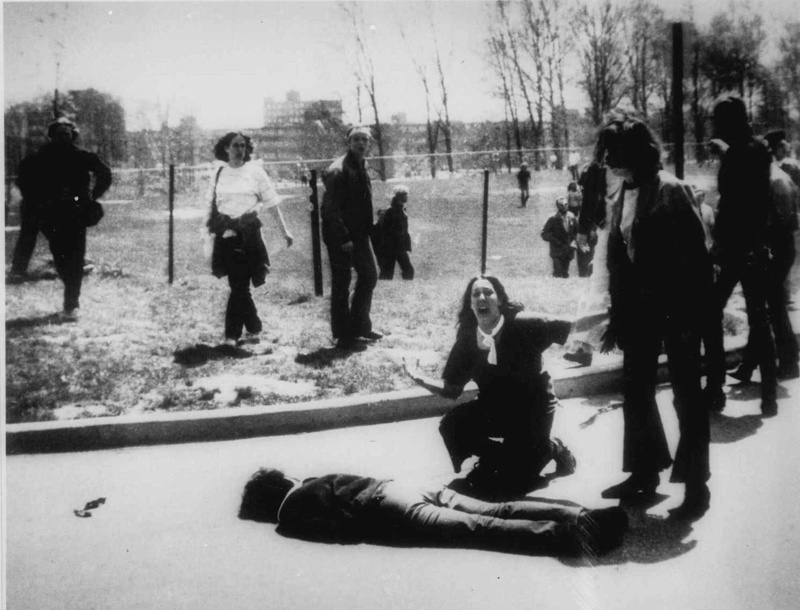 Young wrote the song after seeing photos of the incident (such as John Filo’s Pulitzer Prize-winning photograph above, showing Mary Ann Vecchio, a 14yr old girl, kneeling over the dead body of Jeffery Miller, minutes after he was shot). The song was recorded with Crosby, Stills & Nash and rushed to release only a few weeks after the event itself. “Tin soldiers and Nixon coming”, Young spits (referring to US President Richard Nixon, whose policy led to the invasion of Cambodia at a time when the Vietnam War had appeared to be winding down) eventually incanting the line “Four dead in Ohio” over and over. This entry was posted in Uncategorized and tagged Crosby Stills and Nash, Kent State University, Neil Young, Ohio, protest song by leonwilson12. Bookmark the permalink.